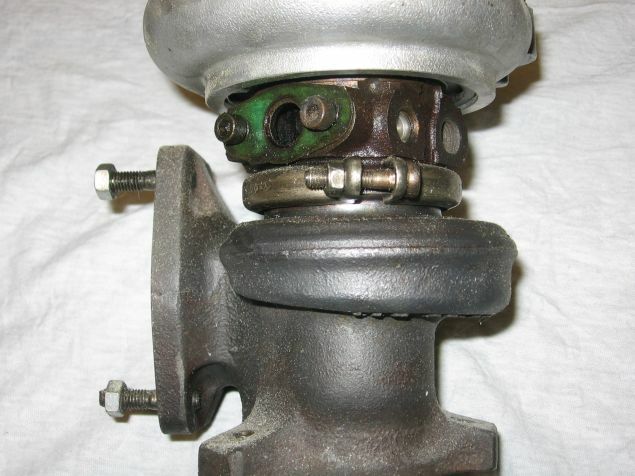 Volvo 850 turbocharger install tips from the smart crew on MVS Volvo Forums. I’m ready to install the turbocharger on my 1996 850 project. So far the only tip I’ve gotten is from a diesel mechanic who said to put oil into the turbo body before installing it. I have the Haynes manual, which is what I’ll go by unless someone has a better idea. Be careful with the o-ring on the oil drain pipe. At first put the ring on the end of pipe, grease it slightly with engine oil and then install pipe to the drain hole in cylinder block, then screw pipe to the turbo body . Doing it in other order (put the ring in the hole, then install pipe) you will damage o-ring for sure. You can get the CBV diaphragm from lots of places, but I would make sure it is made by Mitsubishi. I have seen posts recently about people getting new CBVs that leak immediately or soon. I have bought them on eBay in the past but it is getting tougher and tougher to buy there and not end up with junk.